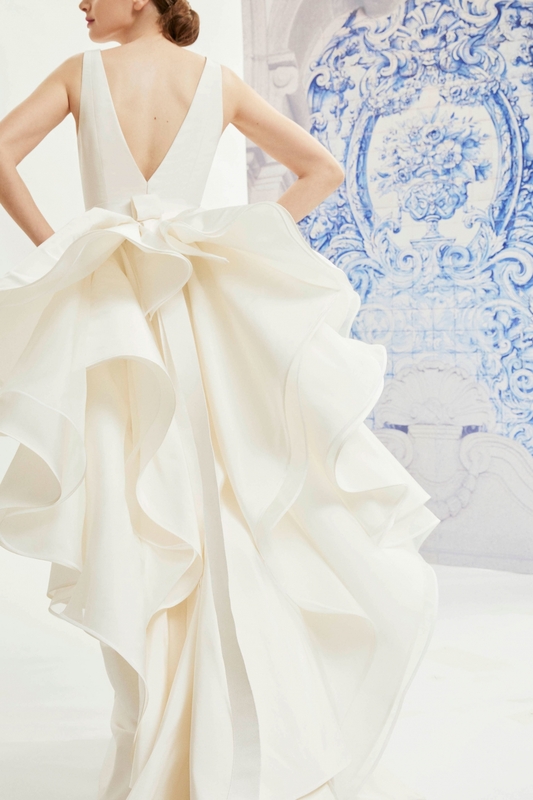 The latest Carolina Herrera bridal collection for Fall 2019 was inspired by Wes Gordon’s recent summer trip to Portugal. 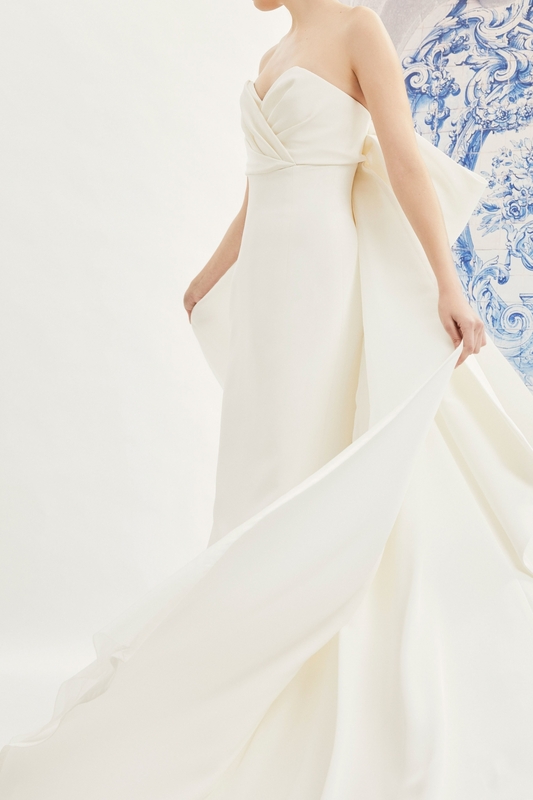 “This bridal collection, like the blue and white tiled walls of a Portuguese garden, is utterly romantic and as unique as it is timeless,” the designer wrote. 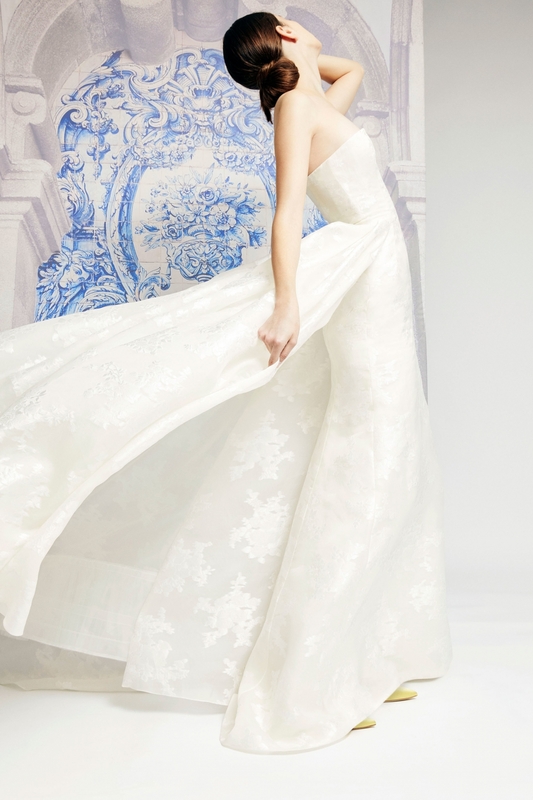 Gordon portrayed the elegance and femininity of the Carolina Herrera house with his touch of modern glamour. 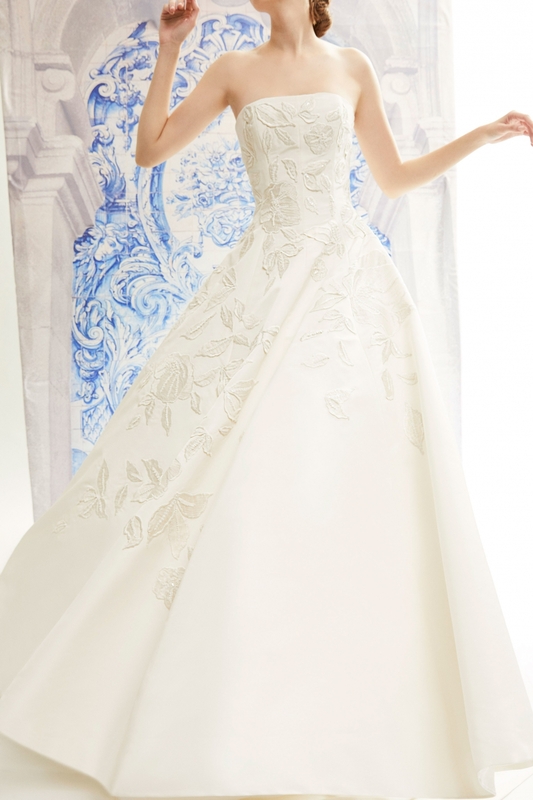 The collection celebrates diversity by combining the latest bridal trends such as large bows and dramatic necklines with exquisite floral beading classic tread work. 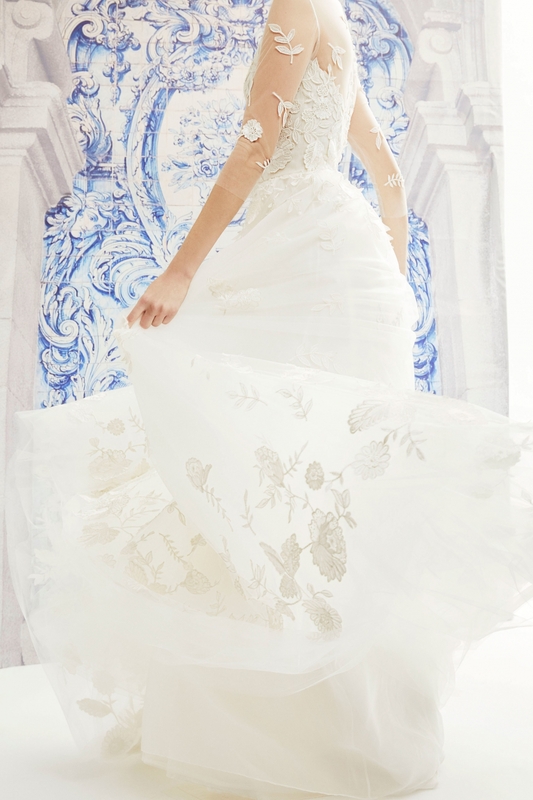 Gordon has demonstrated that there isn’t a huge gap between the bridal and ready-to-wear collection. 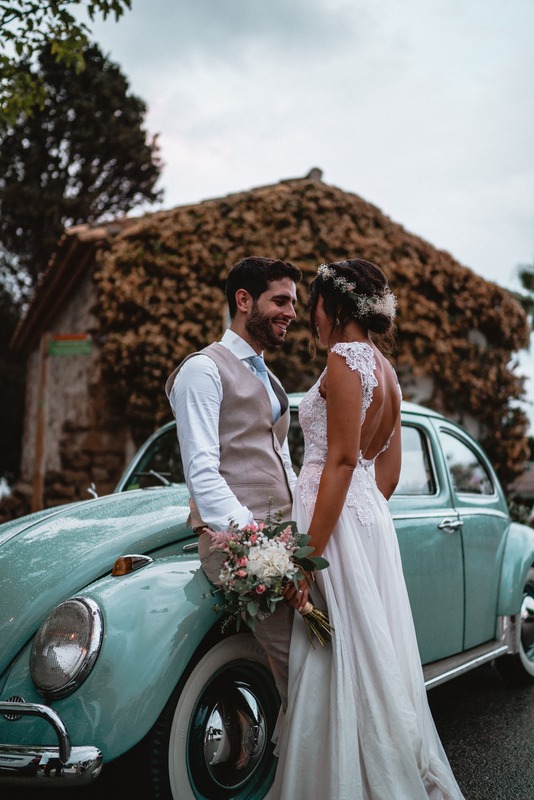 He thinks that one of the most significant elements of Mrs Herrera’s approach was not to create a uniform bridal look but to understand what makes each bride unique in her own stylish way.